Did you miss the NSRA all-candidates debate? Do you want to watch it again? The above link has headers that allow you to scan through to review the questions and responses you might be most interested in. Please share this link with others who might be interested and/or could not attend the event. Thank you to the North Saanich Residents Association for hosting such a well-organized event and providing a link to a recording of the debate on their YouTube channel. You can also watch it here. Thank you to Peninsula News Review for live-streaming and offering a recording on their Facebook page. Mayoral Candidates: How do they differ? Peninsula News Review. Meet your Mayoral candidates. Times Colonist. 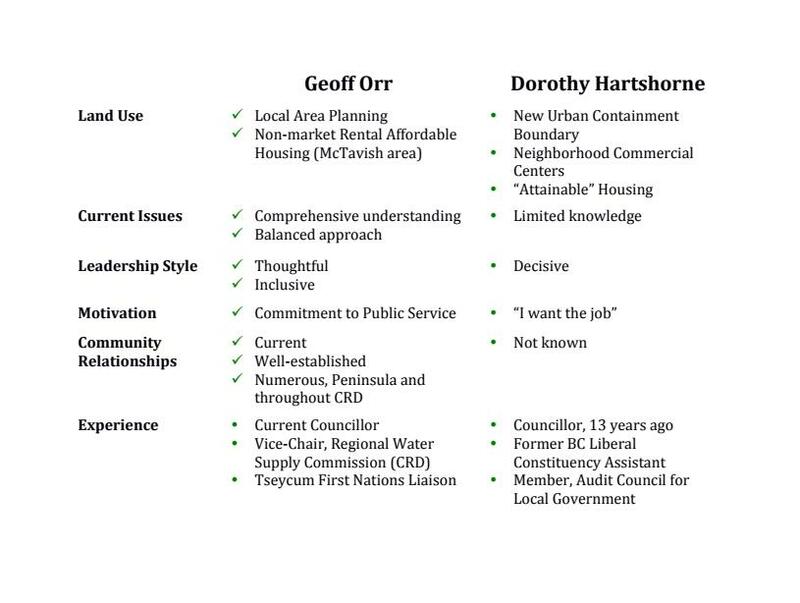 North Saanich’s very civil race for mayor.